Today I want to talk (once again) about the body and its relationship to design by presenting five young (four of them are less than 30 years old) designers (two French, one German, one Korean and one American) who each in their own way challenge the body through their design and vice versa. In order to do so, I will introduce them successively from the design at the closest of the body to the one at the furthest. 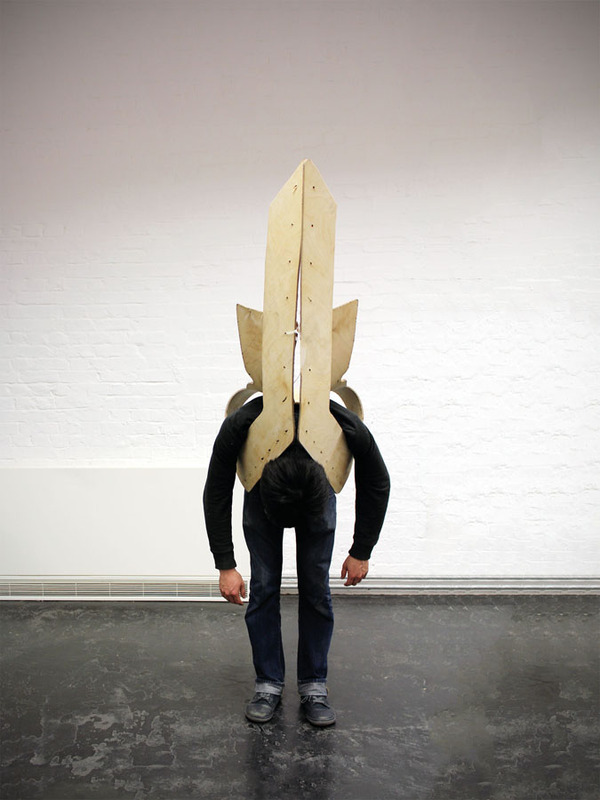 We might call the first one fashion, the last one architecture and the ones in between industrial design or art, but really that does not matter at all and attributing these designs to a specific discipline would be missing their common point: their investigation on the body. It is true that the scale of clothing (or prosthetic), because of its privileged relationship to the individual who wears it, might present a more direct political dimension as it introduces an immediate performativity of the same individual within the public realms. What we wear is necessary a form of political expression of our desires, our gender, our social class, our ethnicity, or rather the desire, the (non)gender, the social class, the ethnicity and the relationship to society and to the norm that we choose to express. I would like to claim nevertheless that the same is true for the localization and behavior or our body, and that also involves our relationship to the designed and built environment that surrounds it. Most of us do not design our own clothes, our own furniture, our own buildings. What the body make of them is obviously conditioned by the design, but it can also consist in the subversion of these conditions, or at least in the sum of behaviors that go beyond the original spectrum of behaviors imagined by the designer and other decisive actors of a design. The following projects were not necessarily thought through political arguments; it is actually not impossible that none of them actually were. 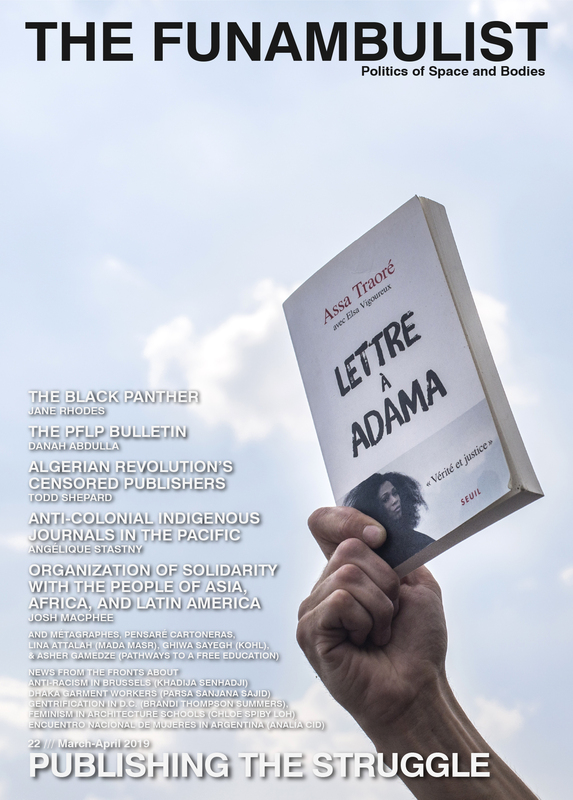 I would claim however that design being necessarily political because of the relationship its develops with the bodies, designing for the body cannot be not making a voluntary political argument. For example, none of these five works are arguing for the comfort of the body. They might nevertheless be at the antipodes of the Cruel Designs (i.e. designs that are conceived in the voluntary goal of hurting the body) I regularly address in these articles. Comfort is certainly not the opposite of pain. The opposite of pain is the Spinozist joy experienced by a body who realizes that it is empowered by its vitality. These five works, all in their very specific way, invoke this joy. The gravity they design is not one that crushes the body to the ground, it is rather one that the body, in its materiality, can play with, dance with, jump with and support itself upon, taking advantage of each surface of fabric, wood, metal, plastic or concrete that interact with it. 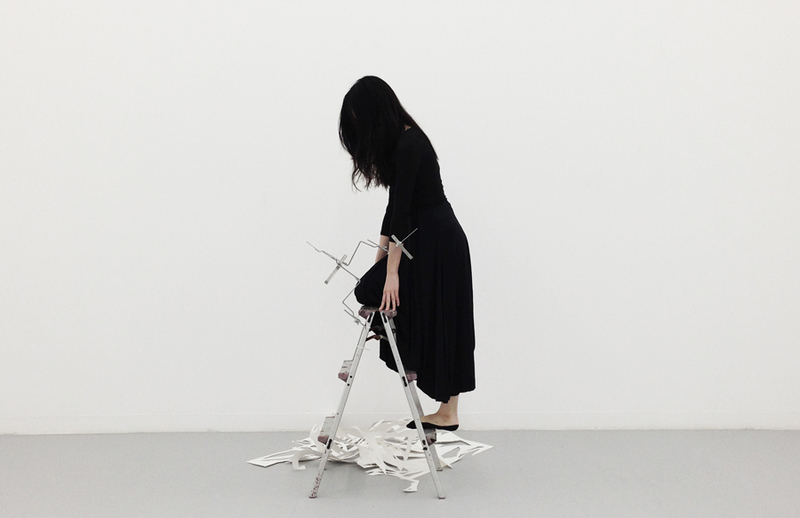 I already dedicated a text to the beautiful work of Yiqing Yin in which I was insisting on the material operation that the fold – that could not exist without gravity – consisted in. The fabric as a second skin, one whose epidermic sensitive surface saw its area multiplied quasi-infinitely. This poetic notion of the infinite is important here as these dresses seemed to have folded the world in them as the fabric seems to be never able to fully unfold itself. 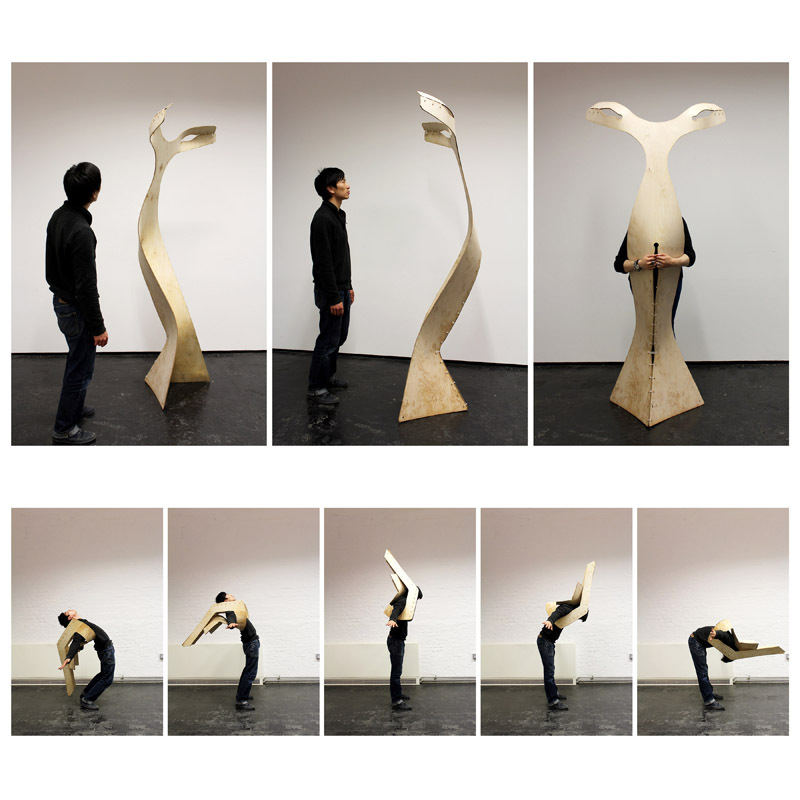 Lawrence Lek created three different wooden prosthetics that, rather than replacing a limb or any other part of the body, augment the latter for specific actions, running, tumbling and jumping (see diagrams below). In this case, the prosthetic is a sort of exoskeleton that mimics the structure of a (relatively normal) human body and after analyzing some of its capacities simply exacerbates the latter by increasing its amplitude. The choice of the material is far from being neutral as wood is here used for its capacity to absorb the contact with the ground before using its resilience to go back to its initial state when this contact stops. 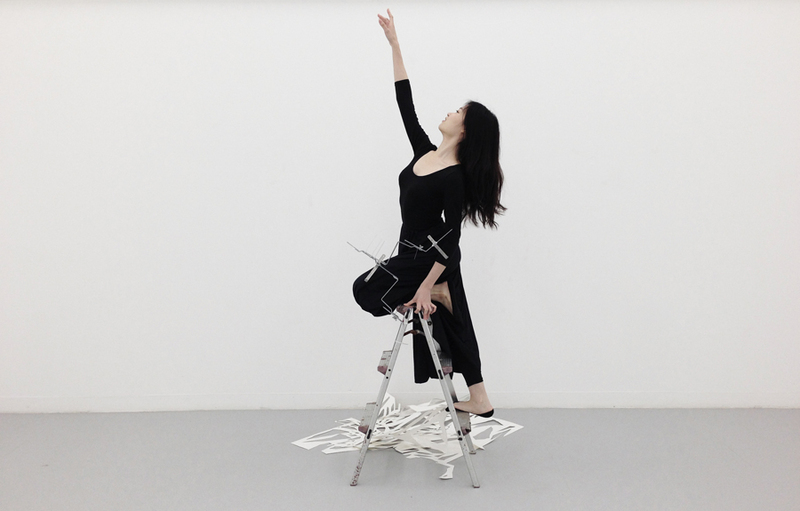 The project Rebuilding the Body was created by Kordae Henry in the context of Sofia Krimizi’s Graduate Studio at the University of Pennsylvania that was precisely trying to achieve such investigation. 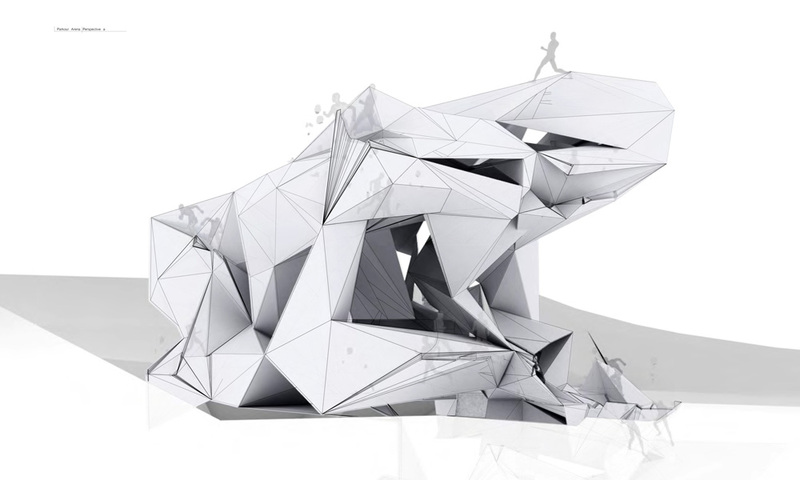 Kordae designed an architecture that would offer a challenging terrain to Parkourers (see past article). This ambition is complex as parkour seems to often consists in the subversion of architecture’s conditioning of normed behaviors: a wall is not interpreted a “thick line” that prevents the body to penetrate to another space, but rather as a surface on which the body can briefly use to propel itself. All surfaces are thus interpreted as opportunities for the body to invent new forms of movement as long as it does not stick to them as if they were too hot to remain in contact with them. 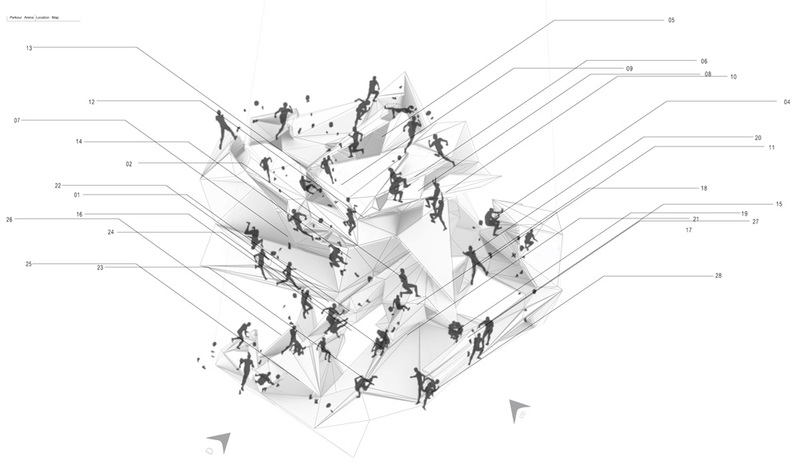 Kordae’s architecture nevertheless manages to provide a prolific terrain for this inventive activity as it multiplies surfaces and their angles without conditioning in advance the way they would be used by the body.